Eyebrows that are too light, too thin, sparse, or non-existent, can be beautifully enhanced and improved with permanent makeup. 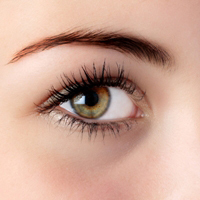 Enhancement of eyebrows is important because they frame your eyes and enhance the expression on your face. Eyebrows that are properly defined in a color complimenting your skin tone and hair provide a natural enhancement to the frame and overall appearance of your face. The existing eyebrows are cleaned up matching their natural design as closely as nature will allow. Tattooing puts color IN the skin and your hair lies on top of the skin providing dimension, texture and the illusion of movement. The closer the permanent cosmetic design remains within the perimeters of the existing hair, the more soft and natural the healed permanent cosmetic eyebrow will appear. Eyebrows take the most skill, patience and design of all permanent makeup procedures. The Hair Stroke Method we use gives the eyebrow a believable shading and texture affect so that the tattooing appears to be hair, which provides a more natural result. The results provide the look of having fuller eyebrows in a beautiful shape that no longer require coloring each day. The initial procedure appears somewhat darker when first applied. The numbing gel is applied prior to the procedure. Slight swelling may occur after the procedure, and is temporary. Within a few days to a week, as the top layers of skin naturally exfoliate the eyebrows appear lighter and more natural. Clients with darker skin known as Fitzpatrick scale (African American, Japanese, Eastern Indian, etc.) may find that their application of cosmetics will not appear as dark as on lighter skin types. It is recommended to have your brows waxed or tinted at least three days before and a week after waxing. If your brow hairs are light or grey you can ask your hair dresser to tint them or try a root touch up. Come for your consult with your eyebrows penciled. This gives me information as to your style. You will need to apply a light coating of ointment evenly day and night till healed. Do not apply makeup, brow powders or pencils, or anything other than recommended ointment until the treated area has healed. Avoid scrubbing for one month. Just use a gentle cleanser until healed. All coloring will initially appear darker than when healed and will soften in time. You are responsible on your second visit to notify if you want a color or design change. I will go on the side of precaution on your first application so that those issues can be adjusted. Clients may notice that flaking in the brow area is common. This type of exfoliation can be reduced by using after care as described. If your brows tend to do this on a regular basis, your procedure will require touchups. Scars can be worked on depending on the condition of the skin. Any touchups require at least one month between visits for healing purposes.